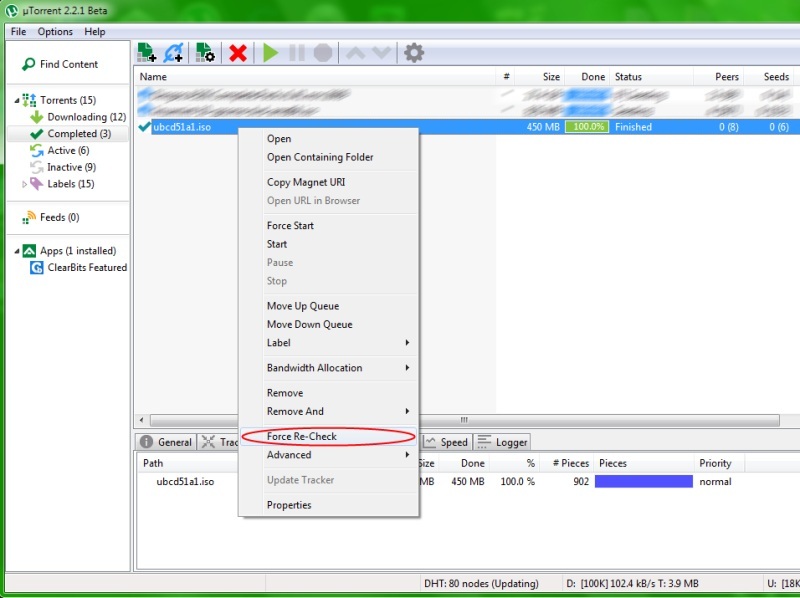 Shown is uTorrent (freeware) and right clicking on the torrent to force re-check. current 04:09, 18 February 2011 800 × 598 (95 KB) StopSpazzing (talk | contribs) Shown is uTorrent (freeware) and right clicking on the torrent to force re-check. This page was last edited on 18 February 2011, at 04:09.